Can Alice escape Zombieland before the Dead Red Queen catches up to her? When little Alice falls asleep, she finds herself in an undead nightmare of rotting flesh and insanity. Following a talking rat, she ventures further into this land of zombies and monsters. There's also something else troubling poor Alice: her skin is rotting and her hair is falling out. She's cold and there's the haunting feeling that if she remains in Zombieland any longer, she might never leave and forever be caught between life and death. 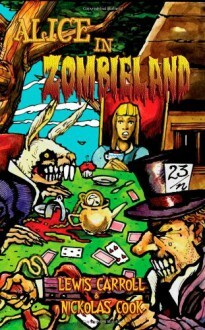 Have a seat at the table for the Tea Party of your life and explore the wondrous adventure that is Zombieland.